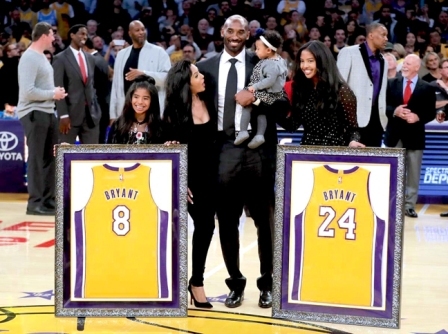 NBA icon Kobe Bryant became the first player in Lakers franchise history to have two jerseys retired in front of his family, former teammates, other Lakers legends, and a sellout crowd as the Lakers battled the Golden State Warriors. Bryant now joins Elgin Baylor, Kareem Abdul Jabbar, Shaquille O’Neal, Wilt Chamberlain, Jerry West, James Worthy, Magic Johnson, Jamaal Wilkes, and Gail Goodrich as Lakers with retired jerseys. Prior to the matchup, Bryant sat down with reporters and talked about his career and life after basketball. Bryant responded to questions in English, Spanish and Italian. During the halftime presentation, fans heard Bryant poignant retirement poem “Dear Basketball” being recited to a short film directed and animated by Glen Keane. Prior to the reveal, Lakers president Magic Johnson and franchise owner Jeanie Buss acknowledged Bryant with speeches. Johnson took note of the diverse audience that came to witness the honor. If there was a person that questioned the decision of retiring both of Bryant’s numbers, Buss gave an eloquent response. “We are retiring both your numbers because if you separated each of the accomplishments under those numbers, each of those players would qualify for the Hall of Fame,” she said. Buss also represented the fans and read their appreciation on Bryant’s work ethic, sacrifice and mentality on court. “Thank you, Kobe for your incredible work ethic, never giving up and somehow figuring out how to impose your will on a game and single-handedly changing the outcome,” she quoted a fan response. 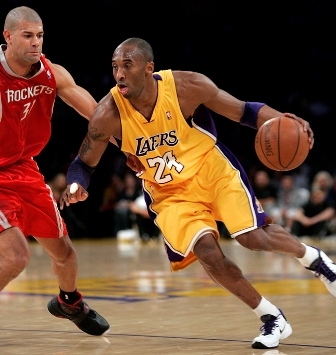 Many of Bryant’s past teammates were in attendance including Derek Fisher, who played alongside Bryant through the five championships. Hall of Famer Allen Iverson was there to support him. Bryant mentioned how he had fun competing against Iverson during the press conference. Bryant joked with reporters throughout the press conference, mentioning how jersey No. 8 Kobe’s accomplishment over jersey No. 24 Kobe was his ability to grow hair. Bryant also admitted that he still wakes up an 4A.M. like he did during his career. Throughout the day, social media users showed their respect for Bryant and his illustrious career with the hashtag #Ko8e24. The current Lakers squad fought with valor against the Golden State with Bryant and his family sitting front row, mid court. Stifled by Durant for most of the game former young teammate Larry Nance Jr. posturized Kevin Durant. Los Angeles was still competitive, but were behind 53-57 by halftime and a layup from forward Brandon Ingram would push the game into overtime. Despite the Lakers coming up short 114-116, the evening was historic. “It was a pretty incredible night,” said forward Kyle Kuzma. 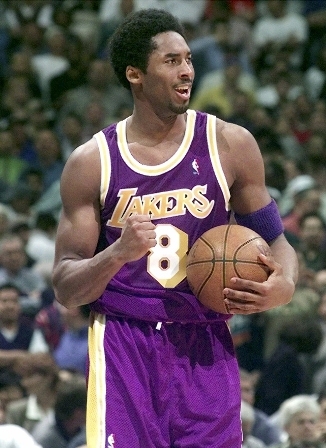 He led the Lakers in scoring with 25 points. Rookie guard Lonzo Ball noted how he enjoyed the speeches during the presentation.